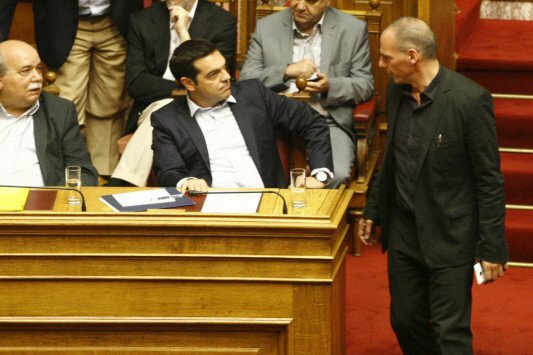 Former Greek finance minister Yanis Varoufakis said that Prime Minister Alexis Tsipras warned him that if he doesn’t succumb to creditors’ demands in the summer of 2015 there is fear of a new Goudi Coup. “Alexis Tsipras, in the summer of 2015, told me I had to fear of a new Goudi,” the former minister said in an interview with VICE Greece. The former minister also said he tried to prevent Tsipras from holding a referendum, since he had decided to negotiate with creditors, and had proposed to him to give a speech which he had prepared himself, with the prime minister refusing to admit that publicly. “If I met him now, I really wonder what he would have to say to me. I will be wondering why he did not adhere to the “No” of the referendum until the day I die,” Varoufakis said about the Greek prime minister.